the Shanghai New International Expo Center, is expanding this year to 175,000 sqm in 15 halls. Five of them are dedicated to carpets and rugs, four to wood, bamboo and other hard floors, 1.5 to FLOORTECH asia and 4.5 halls are dedicated to resilient floorings for sport, commercial, industrial and residential purposes. The show’s clusters display categories in an optimal way so attendees can quickly find everything of interest to them. Getting down to specifics, this year wood flooring will occupy E1-E4 halls, which means that the exhibitors will have bigger spaces to display their products. E1 will exhibit only international brands, such as Labeco, Boen, Arte Mundi, Swiss Krono, Classen and Faus. E2 will house domestic companies, including Starforest, Tubao, TECLIC, Artree, Jinqiao and Dalian Wood Flooring Pavilion. The largest part of E3 will be for floor heating and E4 – for bamboo flooring and Changzhou laminate flooring pavilion. This way it will be a lot easier for visitors to survey the market and connect with the exhibitors and trends that matter to them. FLOORTECH asia will be displayed in E5, bringing ever new technologies and wood flooring printing machines to the show for the first time; while a part of E6 will house wood flooring supplies like cleaning and maintenance equipment, and applications and installation technology. According to Sara Babinski, design manager at Armstrong Flooring, 3D printing will play an important role in the flooring industry. To take that into account, DOMOTEX asia/CHINAFLOOR 2019 will present companies such as Hope Ceramics Machinery Equipment and ELECTRONICS FOR IMAGING. As for mechanical equipment for wood flooring, the world’s leading brands like Homag, Hawk, Suzhou Hotjin Precision Machinery, AZUMI Mechanical Equipment and Wintersteiger AG have already secured their space. This year E6 will be a gateway to outdoor decking flooring and E7 will house sports flooring, as the industry grew extensively from last year. A big part of N3 and N5 will be occupied by the major international brands, such as KDF, Tarkett, Wineo, JaeYoung, US Floor, NOX, Adopen, GoaKe. The resilient flooring section is expanding dramatically, that is why it will be spread out to halls E6, E7 and N3-N5, taking up 4.5 halls for the first time. DOMOTEX asia/CHINAFLOOR also confirmed that W5 will once again be the host hall for the Luxury Brands Carpet Show. Moreover, U-living, Hongjia, Babylon and some other premium household carpet companies will join the hall in 2019, making W5 a high-level design hall. Three country pavilions (Afghanistan, India, and Pakistan) have also confirmed their return to W5 for the 21st edition of the show with large stands. 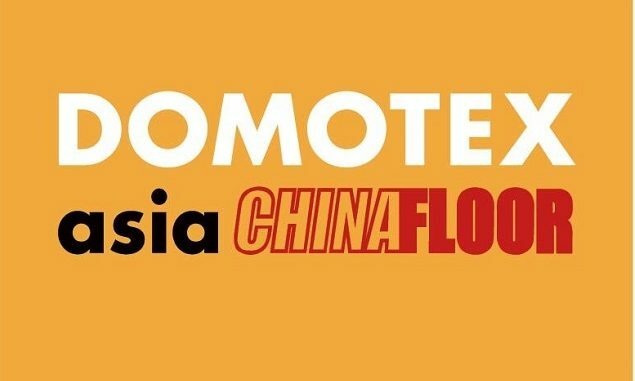 Since the establishment of the show in 1999, DOMOTEX asia/CHINAFLOOR has been regarded as a place to be for floor covering professionals from around the globe and a unique opportunity for manufacturers to position themselves as trendsetters of the flooring industry. DOMOTEX asia/CHINAFLOOR 2018 gathered 1,418 exhibitors from 35 countries and attracted 60,029 trade visitors, of which 14,238 international, coming from 104 nations. 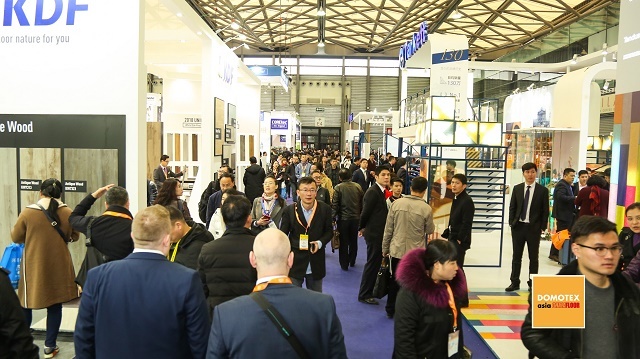 The 2019 edition will continue its successful route, attracting even more professionals and offering the flooring world a unique platform to access and do business in Asia – Pacific, the biggest flooring market in the world. DOMOTEX asia/CHINAFLOOR is a part of the dynamic international DOMOTEX brand based in Hannover, Germany, along with two other platforms: DOMOTEX Turkey and – making its debut next year – DOMOTEX USA.